Ladies and Gentlemen! 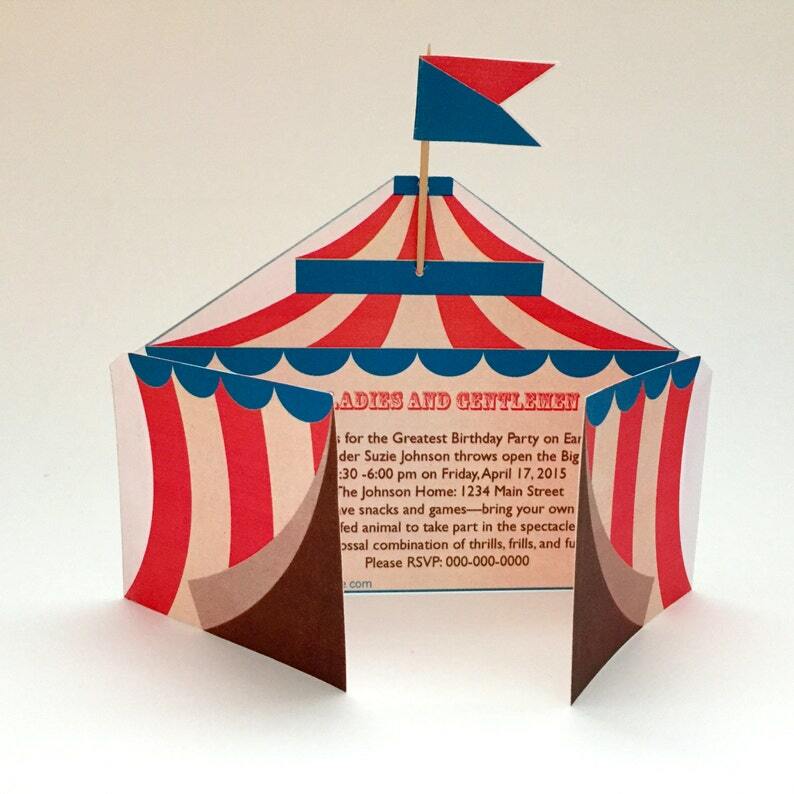 Get ready for some jumbo fun with this circus-themed invitation kit. Big Top circus tent opens its doors to reveal your party details. Monkey thank you note has room for a photo if you choose, and a hot air balloon name tag lifts your party style as a place card or goody bag tag. Good Manners Guide for every well-behaved child is included.